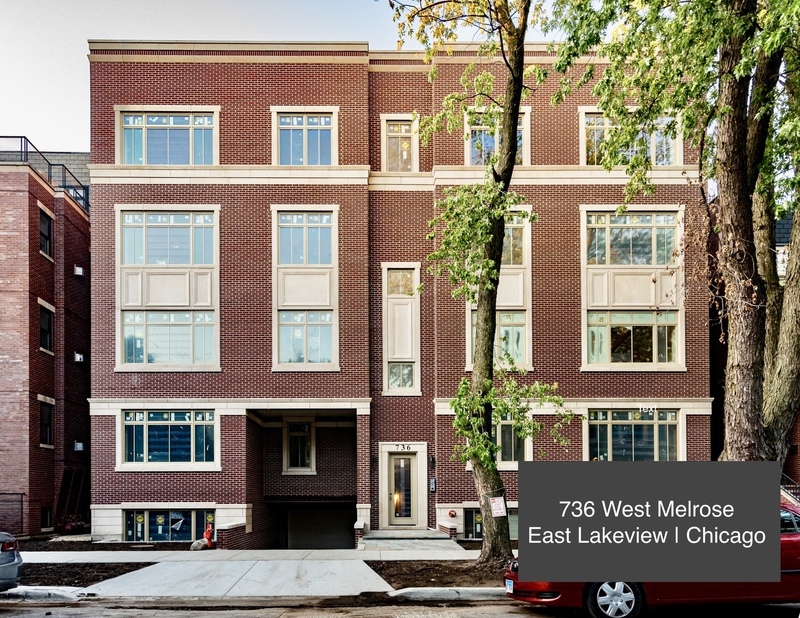 New exra-wide condominium residences in a boutique 8 unit building in vibrant East Lakeview. Quality and design await you in this exquisitely appointed 3 bedroom|2 bath home: commercial grade, eat-in chef&apos;s kitchen with Wolf, Sub Zero and Bosch appliances, quartz counters & beverage/wine refrigerator. Spacious living and dining with spectacular direct access outdoor rear balcony. Fully custom cabinetry, crown molding and wide plank oak hardwood flooring throughout. Stunning master suite with tree-lined views, walk-in-closet and spa-like bath (meticulously appointed with separate soaking tub, steam shower, heated flooring, and custom double vanity). Additional features: full size, side by size laundry, attached heated garage parking, concrete & enhanced sound proofing between units, in a distinctive brick and limestone building close to retail, restaurants & wonderful Nettlehorst School.